Join other parents for parenting support! Each week includes a separate parent time facilitated by a trained educator while children attend age-appropriate activities in the adjacent classroom. 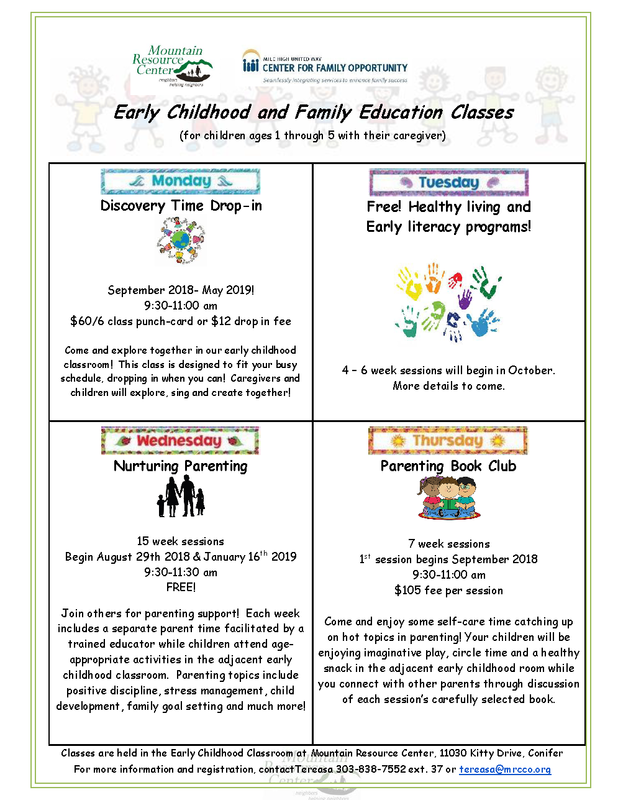 Parenting topics include positive discipline, stress management, child development, family goal setting and much more! 15 week sessions – FREE!